Like it hot but not too hot? 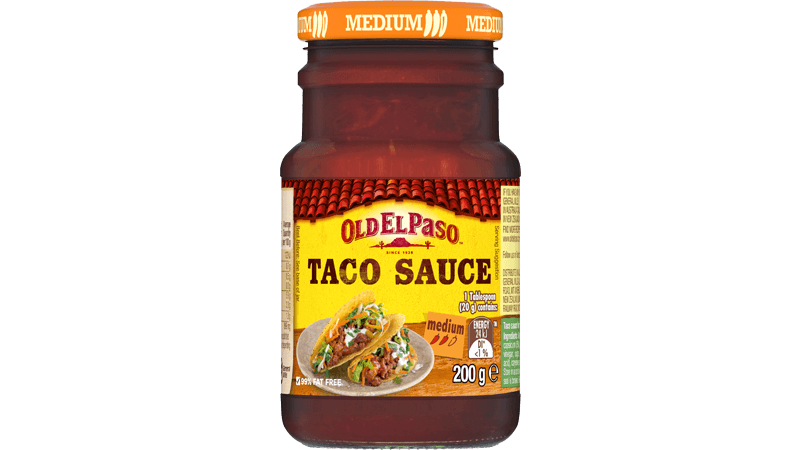 Then Old El Paso™ Medium Taco Sauce is ideal for you! Made with jalapenos, a little paprika and cayenne pepper, this Taco sauce is great for adding just a little spiciness to your meal. Disclaimer: As ingredients do change from time to time, this is only intended as a guide and you should check the pack before consuming. If you require specific information, please call us on 1800 688 313.